Demopolis, Alabama. A small town in south Alabama that borders the combined waters of the Black Warrior River and the Tombigbee River systems. There is a Y junction of these two rivers located just a mile above the Demopolis city boat launch. A dam built downstream (a couple of miles below the city launch), created in 1954, created Demopolis lake. With waters stretching north of the city of Demopolis, the backing up of these two river systems created a huge, river-like man made impoundment, featuring over 10,000 surface acres and 500 miles of shoreline and some very fishy looking backwaters as well. Most anglers don’t really know how much water this is to navigate by boat. If you left Demopolis City launch and headed north up the Tombigbee river (the left fork of the Y), it would take you 68 nautical miles before being halted at Gainesville Lock and Dam. Or if you left the Demopolis City launch and headed up the right fork of the obvious looking Y in the river, you would travel 53 miles (east, to your right of this Y junction), up the Black Warrior River. All the way to the Warrior Lock and Dam situated just below the city of Tuscaloosa, Alabama. So think about it. From Gainesville Lock and Dam to the Warrior Lock and Dam is over 120 miles! This includes loads of feeder creeks, flats, backwaters, flooded Cyprus tree sloughs, backwater ponds, swamps, small lakes and plenty of smaller, incoming streams to fish along the way!. 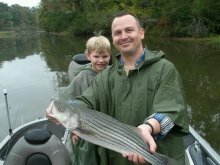 Fishing up the Tombigbee River during winter evolves either fishing creek mouths, backwaters such as Taylor Lake Slough, Rattlesnake Bend, Twelve Mile Bend, Spidle Lake or McConnico Lake. Twelve Mile Bend is actually just a dredged out portion of the old, original Tombigbee River System, created during construction years ago. Now a backwater slough for parked barges. At the Y section of these two river systems you will see two backwaters, Runaway Branch and French Creek. Big Prairie Creek is another feature found along the Black Warrior River portion of Demopolis Lake. Kelly’s Slough, Citadel Cement Slough, Birdine Slough and Birdine Creek, Powerline Slough, Yellow Creek and Backbone Creek are all worth exploring this winter season. 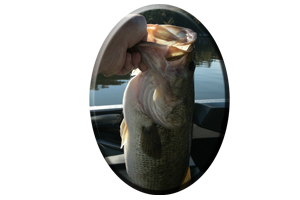 Even near Demopolis City launch are backwaters such as Culpepper Slough, Demopolis Yacht Basin and Foscue Creek, that all hold good schools of bass during winter. 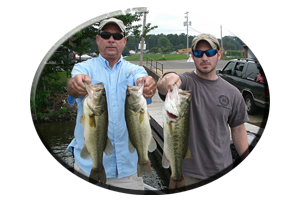 Fishing these southern waters of Demopolis lake either evolves into fishing the main rivers or exploring the aquatic weed infested backwaters, that in addition, are loaded with plenty of fish holding wood cover like Cyprus trees, stumps, brush, laying trees, logs and logjams. 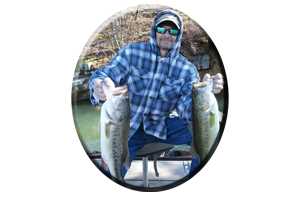 Fishing the main river as waters begin to cool for the winter months, anglers will not only encounter the largemouth bass of Demopolis Lake (some of which can exceed 10 pounds), but in addition another worthy adversary, the Warrior River Spotted bass. 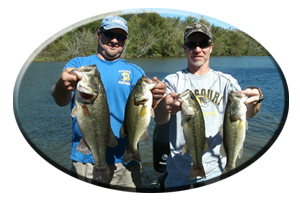 Many of these Black Warrior River Spotted Bass relate to deeper water cover found along river bends, points, islands, the mouths of creeks and another very attractive spot found up in the Warrior River near old Lock 5, the Green County Steam Plant. It is situated just below the mouth of Big Prairie Creek. When I was younger, fishing this river along with my dad and Uncle, we used to launch at the old Lock 5 boat launch just out of Greensboro, Alabama. We would fish some very cold, winter days probing worms and jig combos all around all the wood and weed cover, both in the main river and its many back water sloughs nearby. We never had to go far to catch fish, but one very cold day our travels led us to this warm water discharge canal coming from the Green County Steam Plant. Just how cold was it? Snowing in south Alabama with mid 20 degree air temperatures says enough. We entered the long, dredged out, man made canal exiting the Steam Plant. It obviously held recently treated water coming from the warm discharge upstream near the plant. You could see the fog as it blanketed the entire canal, where both warm water and the cold air met. We did not have water temperature gauges on our boat back then. But the warm water was evident. That very memorable day we had close to 50 bass among the 3 of us, including some big bass taken on rubber worms, spinners, crankbaits and even topwater lures! It changed my whole outlook on wintertime fishing. 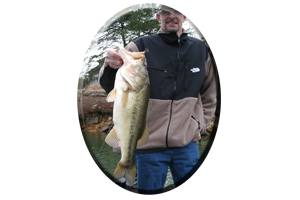 I still fish that warm water discharge every winter I visit Demopolis Lake. Looking for a fishing trip down south this winter? Always call on Reeds Guide Service…first! “Over 40 years exploring every lake in Alabama” Several professional guides and boats available year round for multiple parties and corporate guided trips. Remember, a guided fishing trip with Reeds Guide Service makes a great gift for Christmas, Father’s Day, Birthday’s or any occasion, for those loved ones that love to fish.